Want an introduction into the world of Quality Assurance? 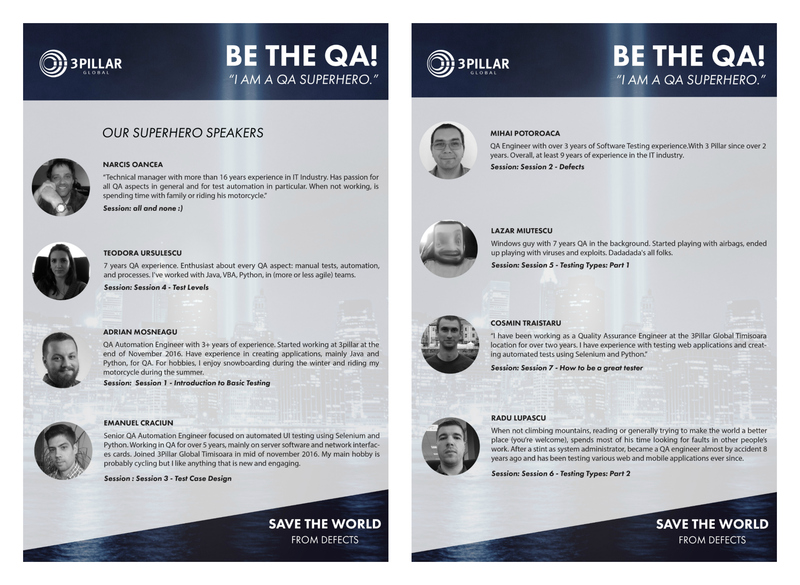 Join “Be the QA” workshop, now in CLUJ & TIMISOARA! The workshop will start on March 30th, and for 3 weeks you will learn basic QA concepts and how to apply them to your next job. Bachelor degree students, master degree students, or individuals interested in the testing field. 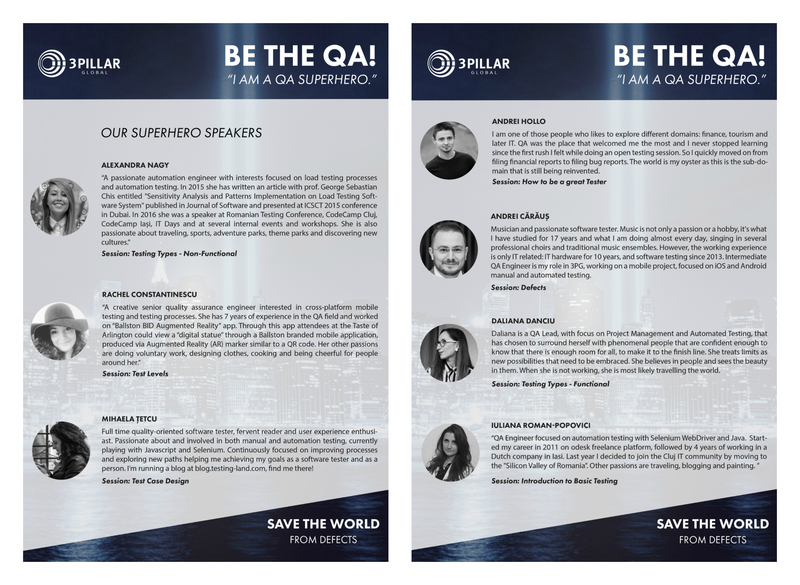 Send us your CV and motivational letter and tell us the reason you think you should be one of the QA superheroes we will train. Be the QA -Timisoara- Click & zoom to read more! Be the QA – Cluj – Click & zoom to read more! Every week, starting on the 30th of March, twice a week, for 2 hours. 27/4/2017 – Session 7 – How to be a great tester! Because sometimes Being the QA is even better than being a superhero! Remember to send us your CV & motivational letter until March 20th! I wana a job and for that I wana learn more things and that is a good opportunity for increase my skills and work with professionists.